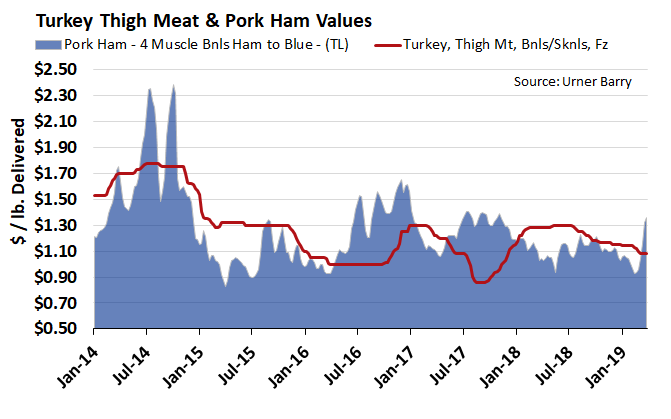 Pork moved into the top spot this week just in time for the holiday, claiming 25.4 percent of protein feature volume. 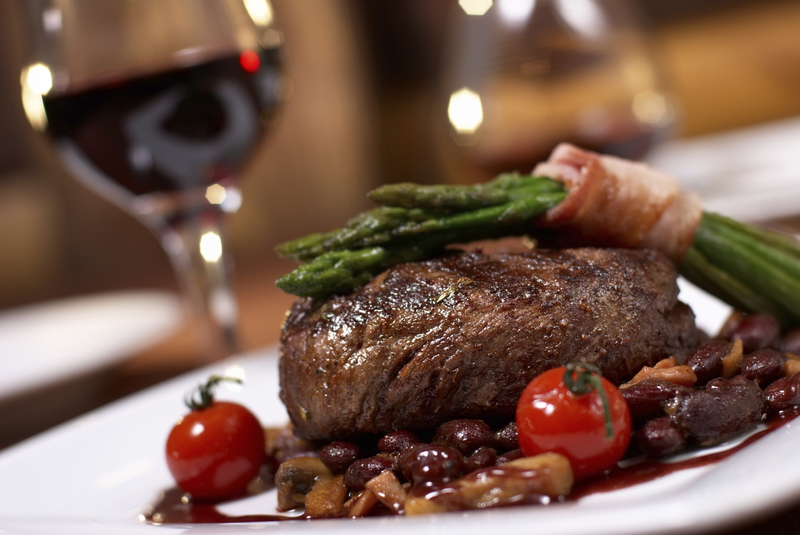 Beef came in second, scoring 23.6 percent, with seafood closely following at 23 percent. 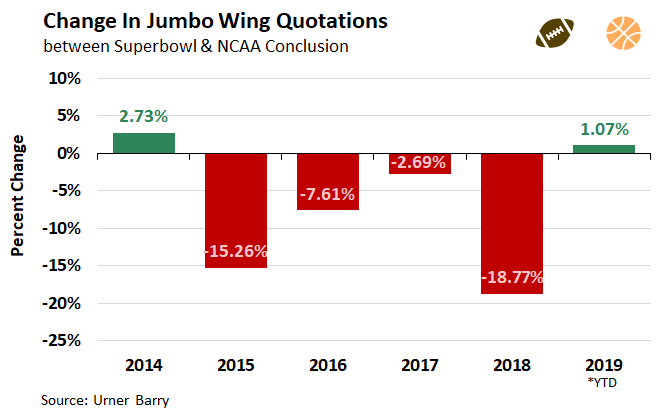 Chicken accounted for 16.2 percent. Turkey features were bumped up to 5.6 percent, compared to 3.6 the week prior. 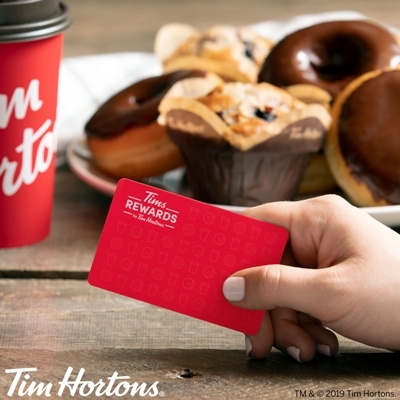 Tim Horton's Introduces Tims Rewards in the U.S. 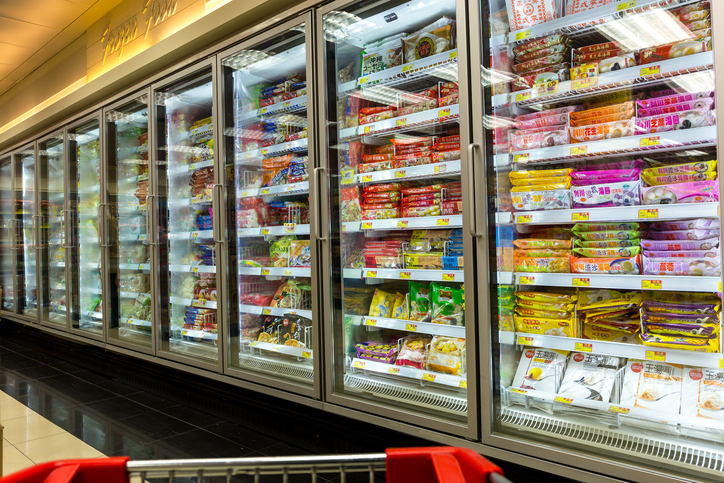 The global cold storage market size is anticipated to reach USD 212.54 billion by 2025 expanding at a CAGR of 12.2%. 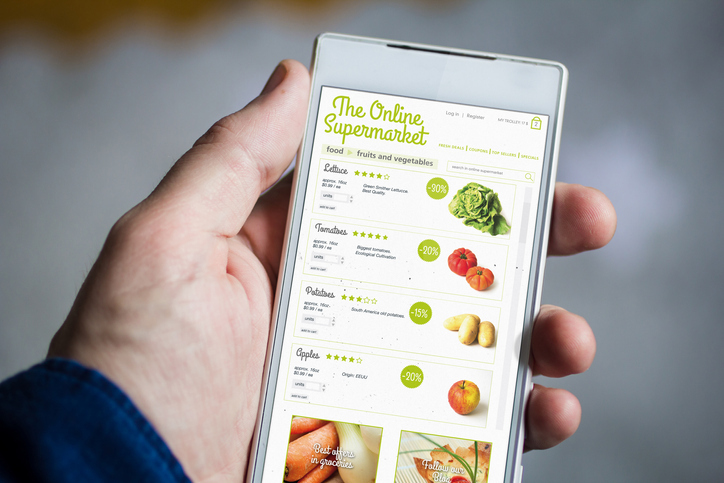 For the first time, Supplemental Nutrition Assistance Program (SNAP) participants will be able to select and pay for their groceries online, during a two-year test (pilot) launched today in New York State. 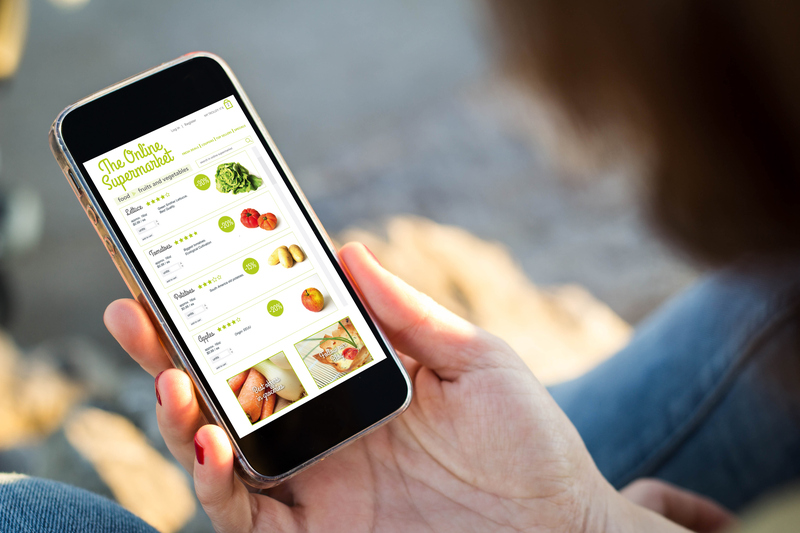 In making the announcement, U.S. Secretary of Agriculture Sonny Perdue highlighted online purchasing’s potential, along with the U.S. Department of Agriculture’s (USDA) commitment to program integrity by looking carefully at the pilot. Lessons learned from this pilot are expected to inform future efforts to expand online purchasing in SNAP. 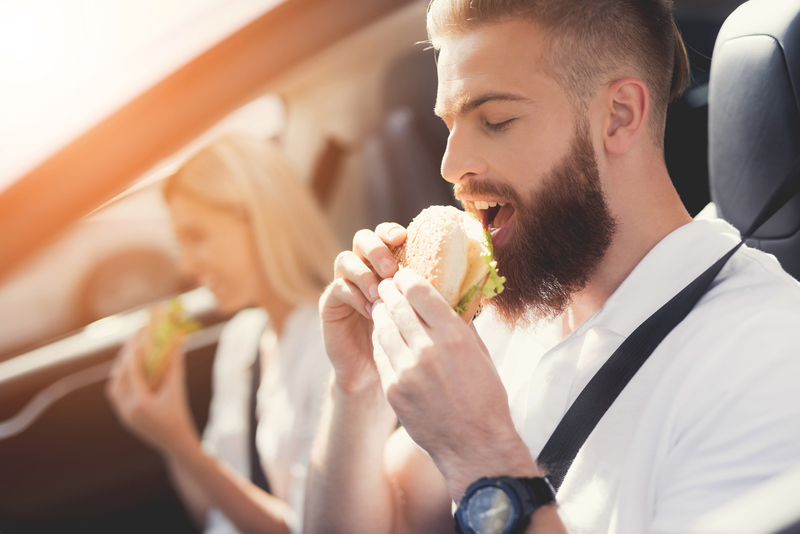 While red meat continues to maintain strong interest among consumers, growing concerns for health and sustainability are having an increasing impact on these staples in Canada, Technomic reveals in the 2019 Canadian Centre of the Plate Consumer Trend Report. The growing popularity of alternative proteins will increasingly encroach on beef and pork’s share of the plate. MGH, a full-service restaurant marketing agency, today announced the results of a study that examined how influential a brand's social media marketing can be when it comes to driving restaurant trial and customer loyalty. 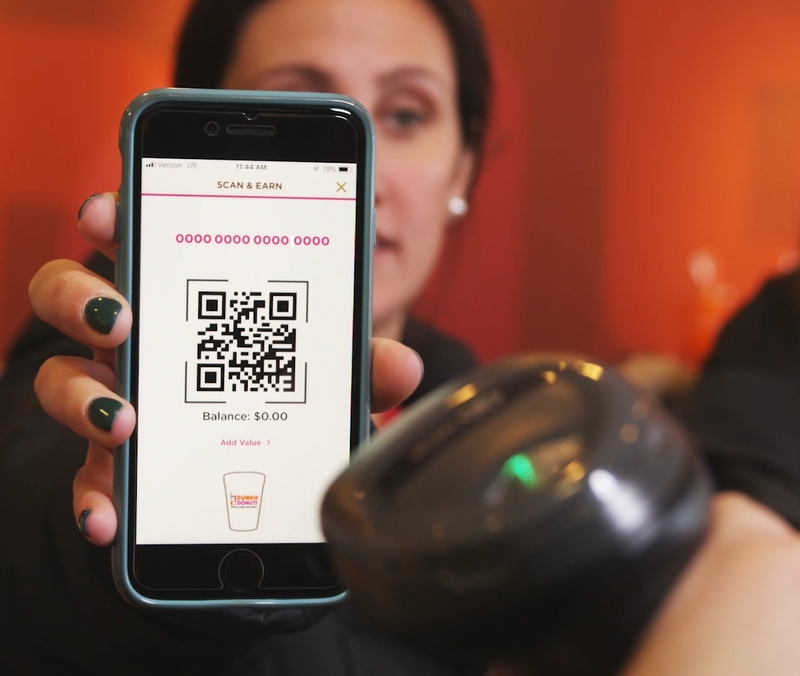 Choice and convenience – two of the values that have helped Dunkin’ earn the loyalty and passion of its on-the-go guests – are now distinguishing the brand’s rewards program and benefiting its members in even more powerful ways. Today the brand announced a pilot of multi-tender participation in its DD Perks® Rewards Program at more than 1,000 locations across the country, giving guests the opportunity for the first time to earn DD Perks points regardless of how they pay. During its annual meeting of stockholders today, Publix stockholders elected Jennifer Jenkins to the Publix board of directors, and Barney Barnett, Jane Finley and Charlie Jenkins Jr. retired from the board. The board also named Barnett as Vice Chairman Emeritus. Americold Realty Trust (NYSE: COLD) (the “Company” or “Americold”), the world’s largest publicly traded REIT focused on the ownership, operation and development of temperature-controlled warehouses, announced today that the Company has entered into a definitive agreement to acquire privately-held Chiller Holdco, LLC (“Cloverleaf Cold Storage” or “Cloverleaf”) from Cloverleaf management and an investor group led by private equity funds managed by Blackstone (NYSE: BX) for a purchase price of $1.24 billion (subject to customary adjustments). The closing of the acquisition is subject to customary closing conditions and is expected to occur in the second quarter of 2019. 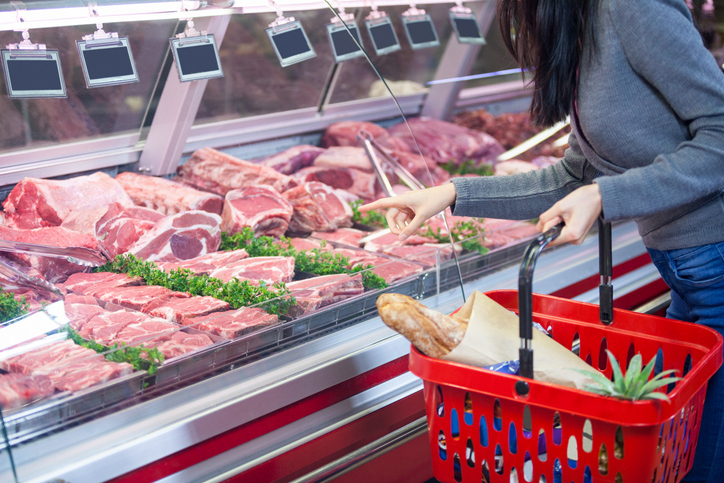 The U.S. Department of Agriculture’s (USDA) Food Safety and Inspection Service (FSIS) announced today that it is proposing to amend labeling regulations to remove duplicative net weight and net content requirements for packages that contain certain amounts of meat or poultry products. The proposed regulation would apply to products that are at least one pound or one pint, but less than four pounds or one gallon. QDOBA Mexican Eats® is adding plant-based Impossible™ to its restaurants’ menus across the U.S. Following a successful product test in Michigan, the brand has decided to broaden its offering of Impossible with rolling availability beginning April 23 at select restaurants in Brooklyn, Denver and Los Angeles. By May 28, Impossible will be available at more than 730 locations across the country, which will make QDOBA the largest Mexican fast-casual chain to serve this plant-based protein. 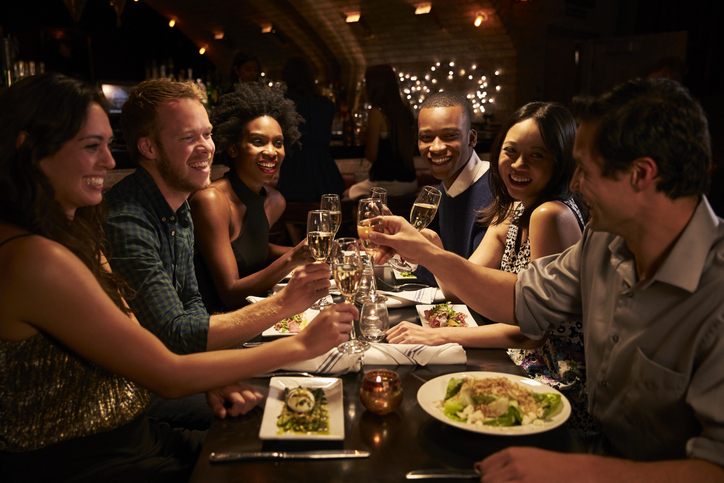 Restaurant businesses are growing despite some operational challenges, such as workforce development issues, demand for increased technology, and serving Millennials, according to new National Restaurant Association research. 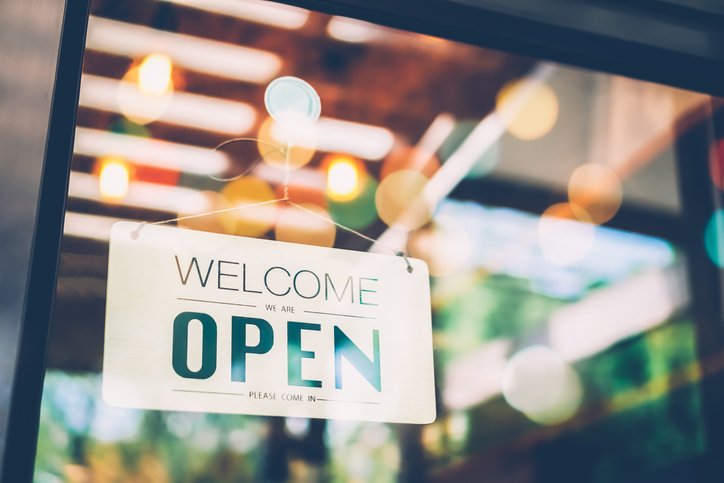 The 2019 State of the Restaurant Industry Report, a comprehensive look at trends and sales projections for the industry, culled and analyzed economic data, along with responses to surveys sent to restaurant operators and consumers. 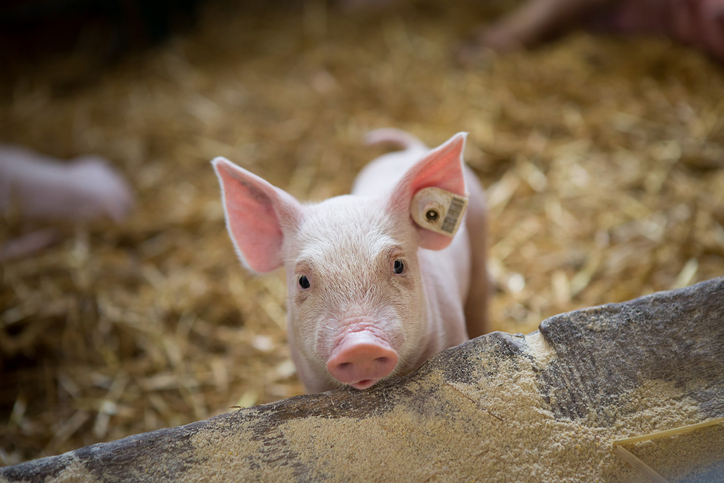 Russell Barton sits down to discuss the severity and implications of African Swine Fever, herd losses, impact on exports, and a firming market. Also covered: Easter holiday impact on hams. 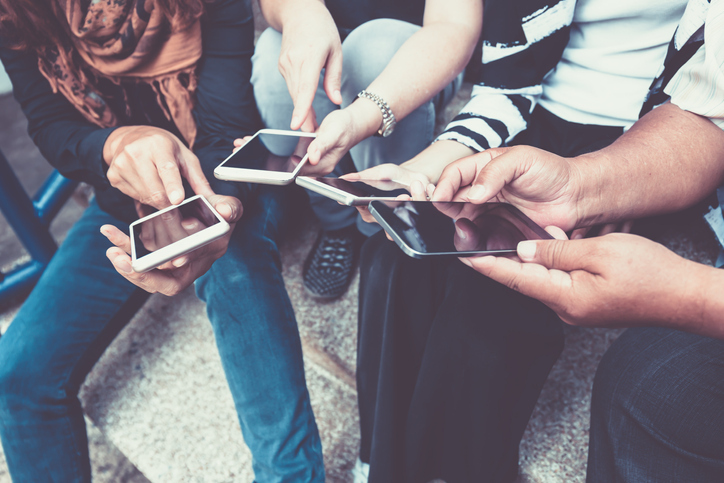 Gen Z and millennial expert Jason Dorsey says people refer to Gen Z and millennials as “tech savvy.” But that’s not necessarily true, says Dorsey. He says they’re actually “tech dependent” -- and that’s a different thing altogether. That may be how they engage with restaurants too. 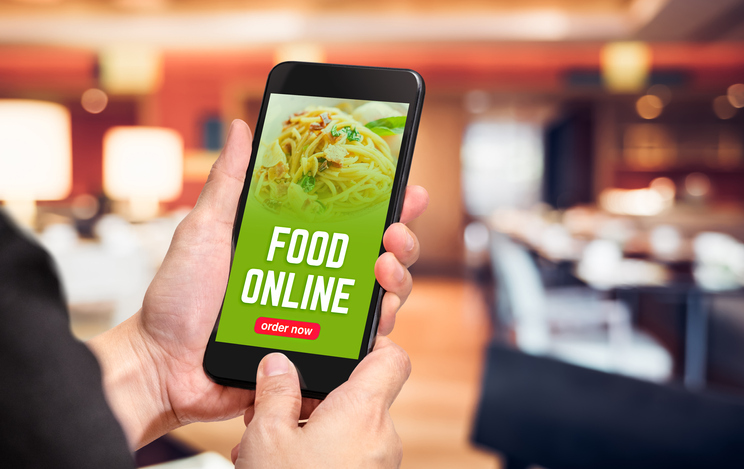 From baby boomers to Gen Xers, generational attitudes toward restaurant technology notably differ, according to National Restaurant Association research delivered in a recent webinar. Postmates and POPEYES® announced today that they've partnered to bring their delicious fried chicken direct to your door. With more than 2,000 POPEYES locations in the US, customers across the country can have their favorite Cajun dishes delivered. Postmates knows that POPEYES wouldn't be the same without that hot, flakey biscuit, so they are giving customers one for free when they order through the platform. 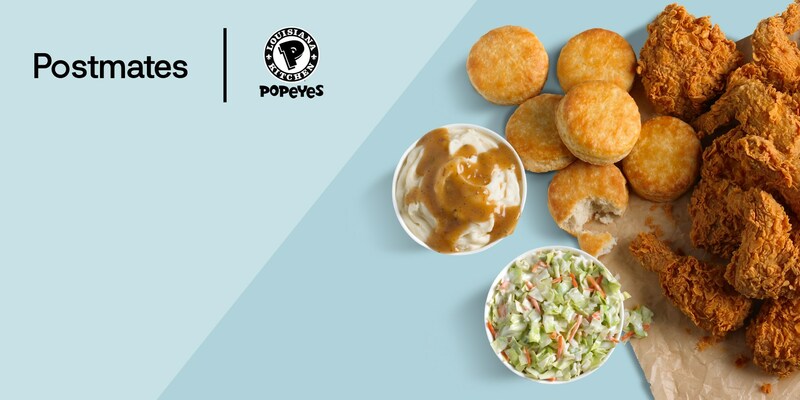 To further celebrate the new partnership, Postmates is waiving the delivery fee on POPEYES orders with the promo code BISCUITS. 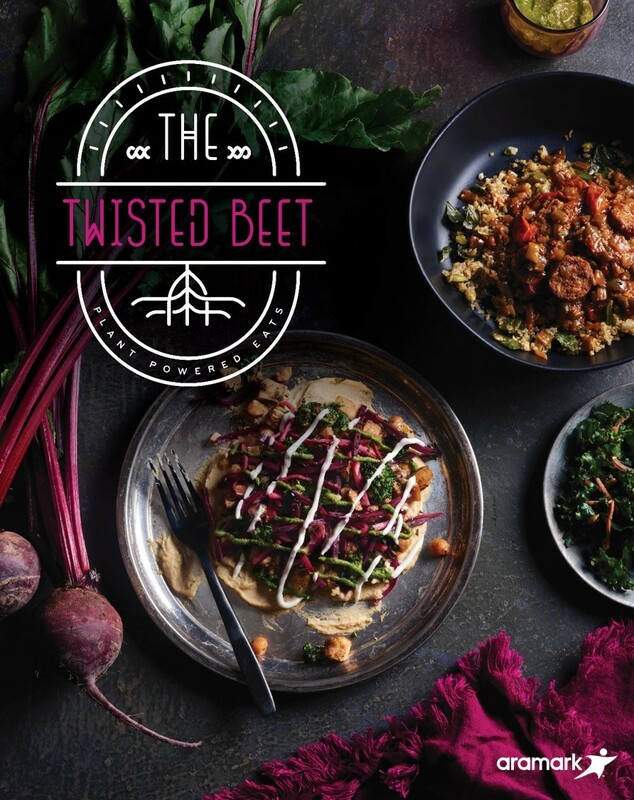 Aramark, the largest U.S. based food service company, is putting a twist on comfort food, with the launch of its first dedicated plant-forward dining concept, The Twisted Beet. Breakfast is the most important meal of the day; yet mornings can be hectic, and the quickest option isn't always the best quality option. 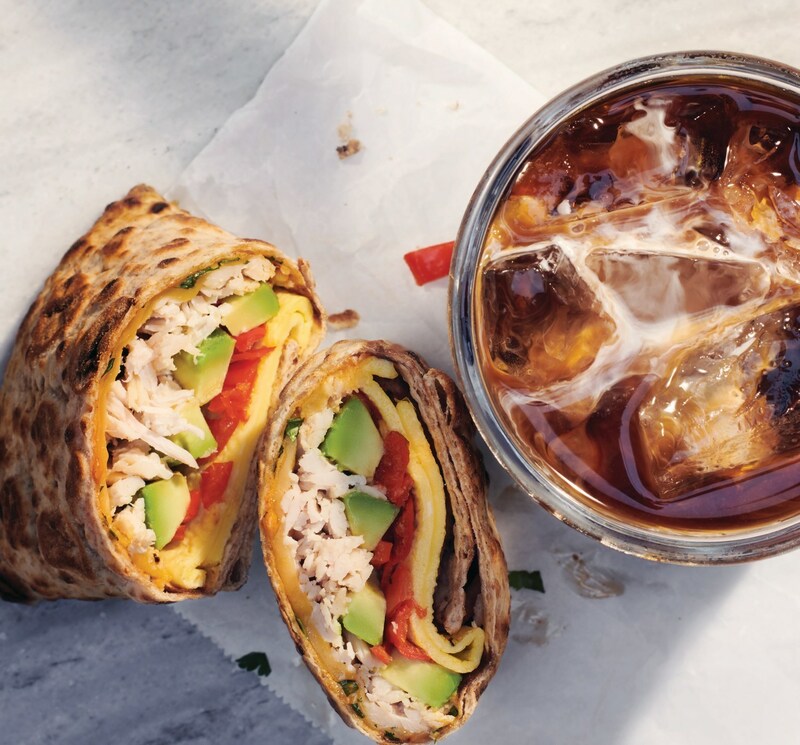 To usher in a new era of breakfast on the go, Panera is refreshing its offerings, focusing on new menu items and an elevated coffee platform to meet the untapped consumer demand for a convenient, yet high-quality, delicious breakfast. 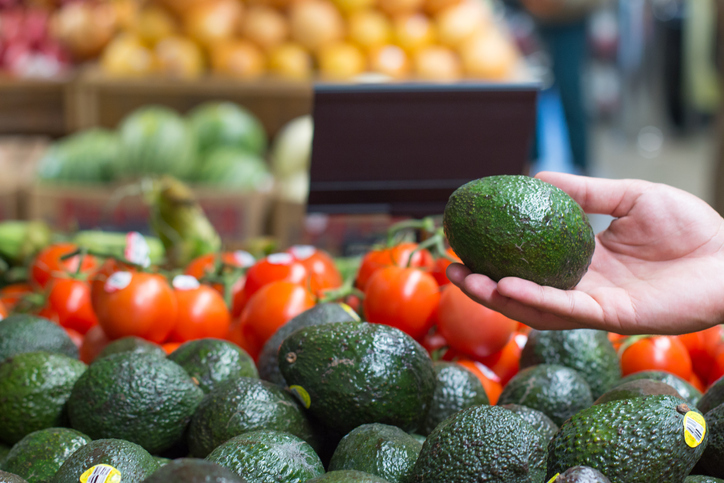 With the U.S. multicultural population projected to grow by 98 million people in the coming decades, Acosta expects multicultural shoppers will continue to have significant influence on the grocery shopping experience. Research released today in the first-ever Multicultural The Why? The Behind The Buy™ from Acosta — a leading full-service sales and marketing agency in the consumer packaged goods industry — provides insight into the preferences of U.S. Hispanic, African American and Asian American shoppers. 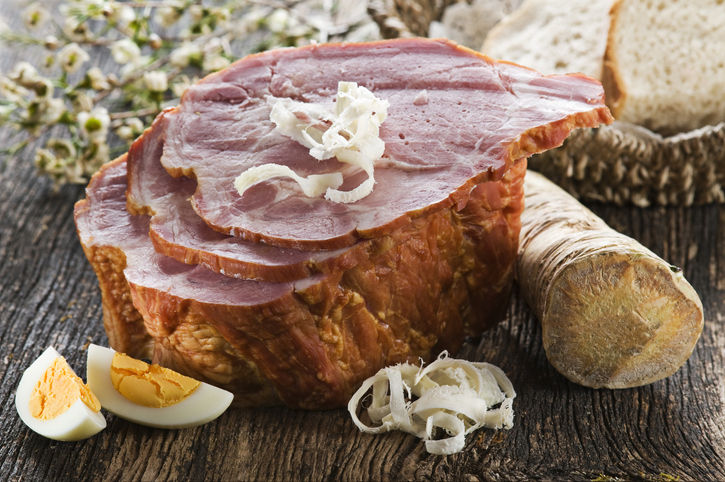 Sysco Corporation (NYSE:SYY), the leading global foodservice distribution company, today announced it has acquired J & M Wholesale Meats and Imperio Foods, Inc., leading California distributors with approximately $44 million in combined annual sales. Ahold Delhaize USA has been chosen as Winsight's 2019 Grocery Business of the Year, which is featured in the leading trade media brand's April cover story. Albertsons Companies, one of the largest food and drug retailers in the United States, is joining the blockchain-based IBM Food Trust network and will begin piloting the technology to improve how food is traced from farm to store shelf. The addition of Albertsons Companies to the Food Trust ecosystem of more than 80 brands brings blockchain-based food traceability to more consumers and industry players – from producers to suppliers to retailers – by helping enable greater transparency and collaboration, and ultimately, a safer food supply. 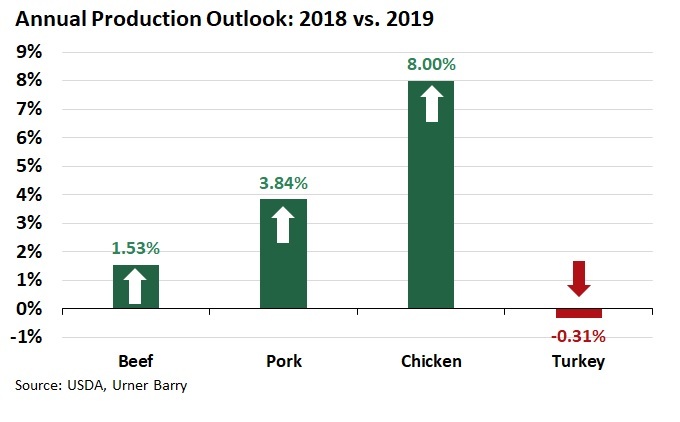 In 2019, we expect Chinese pork production losses of 25% to 35% in response to ASF. Reports of extreme losses (over 50%) are limited to confined areas. The global food robotics market will grow at a CAGR of 12.7% from 2019 to 2025 to reach $3,107.4 million by 2025. Driven by increasing food safety regulations, rising demand for packaged foods, growing demand to improve productivity, increasing production of low-cost robots, increase in investments for automated solutions in food industry, growing demand for reducing production cost and increasing food shelf-life, and entry of new-players which has led to the emergence of advanced robotic technologies. Amazon and Whole Foods Market today launched delivery of natural and organic products from Whole Foods Market through Prime Now in Asheville, Charlottesville, Columbia, Lexington, Little Rock, Manchester, Mobile, Naples and Savannah. 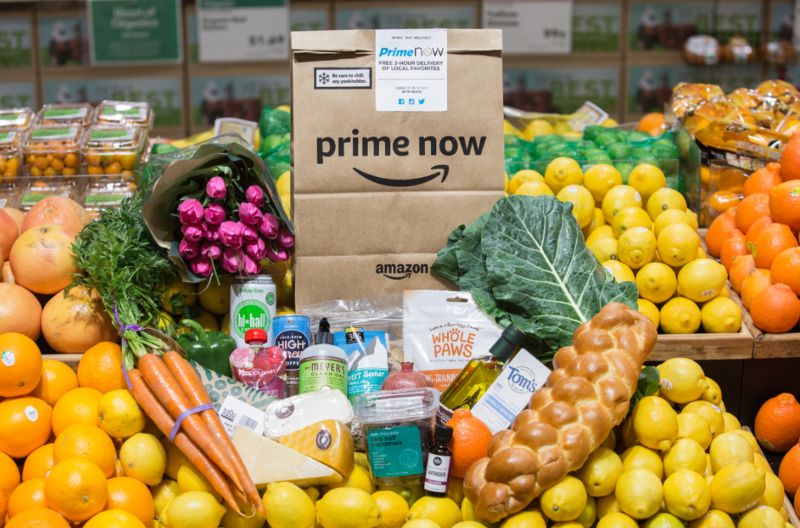 Starting today, Prime members in those cities can shop through Prime Now for thousands of bestselling items including fresh produce, high-quality meat and seafood, everyday staples and other locally sourced items from Whole Foods Market and enjoy delivery in as little as an hour. The service is now available in 75 U.S. metros and will continue to expand throughout 2019. 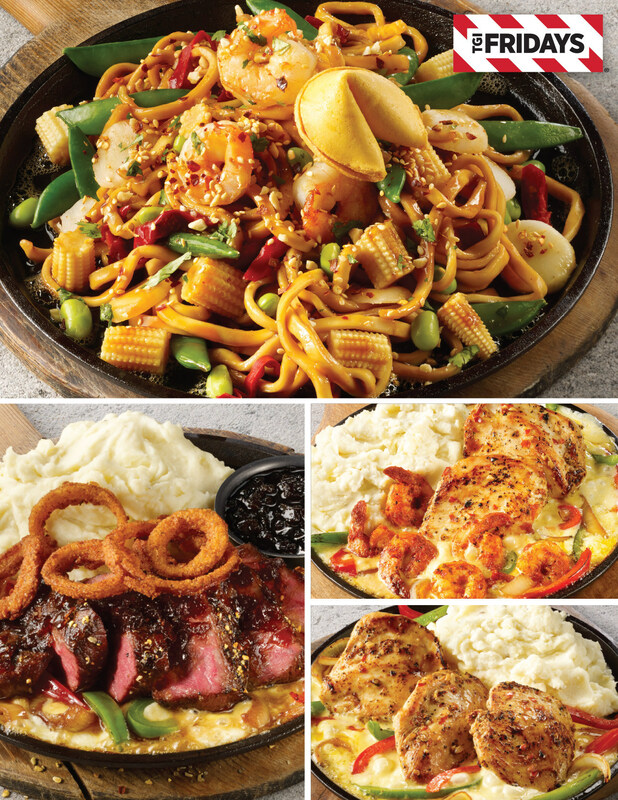 When it comes to mouthwatering sizzle that satisfies every appetite, no one does it hotter or tastier than TGI Fridays™, especially with the addition of four new Sizzling Entrées that join two of the brand's most popular, best-selling entrées – Sizzling Chicken & Cheese and Sizzling Chicken & Shrimp. "Simply put, Fridays always brings the sizzle," said Cindy Syracuse, TGI Fridays Vice President of Marketing. "That's why we decided to expand the Sizzling menu for a limited time only – with taste innovations that celebrate everyone's favorite flavors." The number seven is about to become the new favorite number for Tim Hortons® guests. Not only was the number seven hockey legend Tim Horton’s retiring jersey number, but also starting today, Americans will be rewarded after every seventh visit with new Tims Rewards. 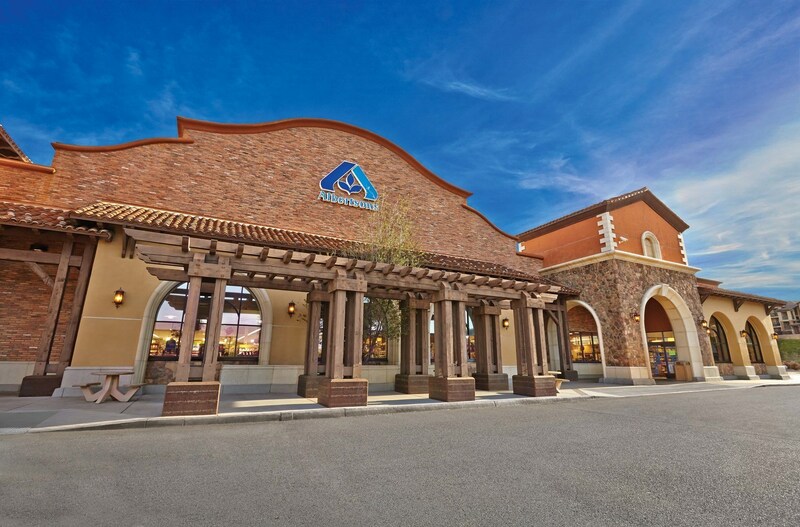 The Kroger Co. (NYSE: KR) today announced several executive promotions to support Restock Kroger and the company's long-term growth. 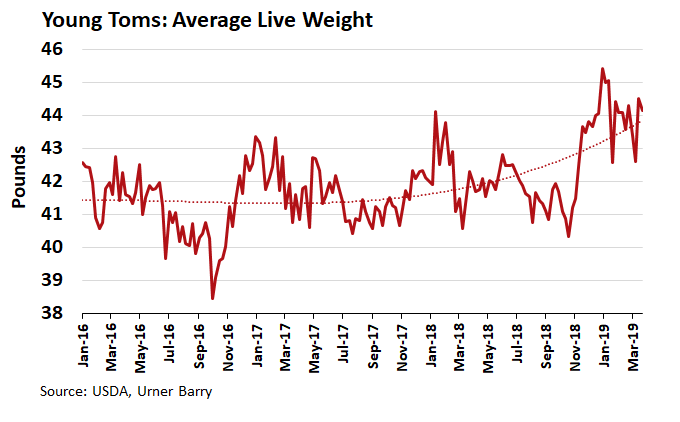 This week Brian Moscogiuri discusses production and inventory levels and the impact on the egg market. We also cover exports, retail, and carrot cake- yum! 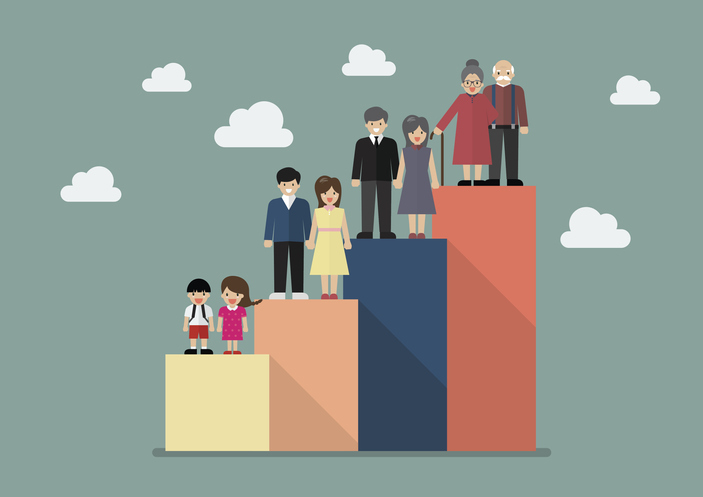 By a wide margin, Baby Boomer households control more wealth than any other generation, according to market research firm Packaged Facts in the brand new report The Financial Services Market: Affluent and High Net Worth Consumers, 8th Edition. Got a burning love for a great deal? Applebee’s® Neighborhood Grill + Bar guests are in luck with the return of Bigger, Bolder Grill Combos nationwide, starting today at participating restaurants. 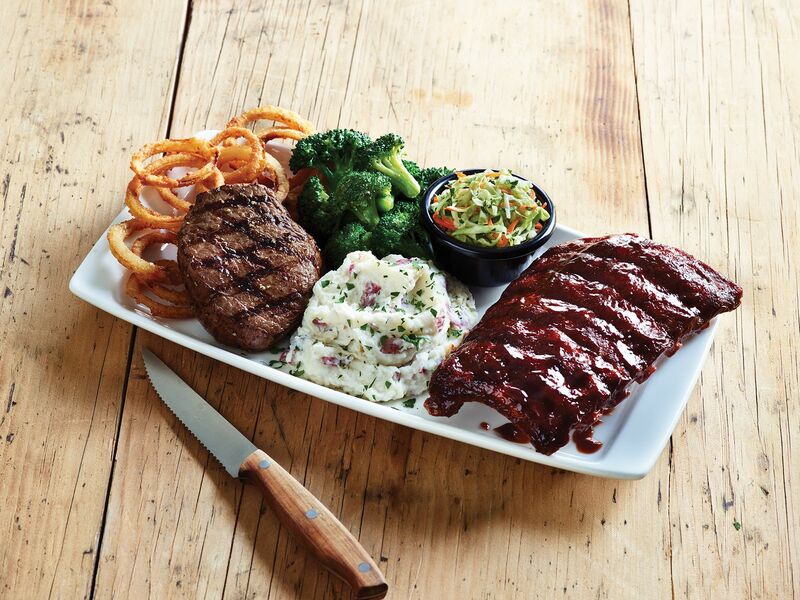 This fan-favorite offers guests the choice of one of five grill combinations, each featuring a pair of entrees and an abundance of sides for the most extreme value. Starting at only $12.99,* this limited time offer will not set your wallet on fire, but like a flame, it will be gone before you know it. What's the outlook for restaurants in 2019? The National Restaurant Association's 2019 State of the Restaurant Industry report provides the details. The United States Department of Agriculture’s (USDA) Animal and Plant Health Inspection Service (APHIS) confirmed the presence of virulent Newcastle disease in a small flock of pet chickens in Coconino County, Arizona. This is the first case of virulent Newcastle disease in Arizona. 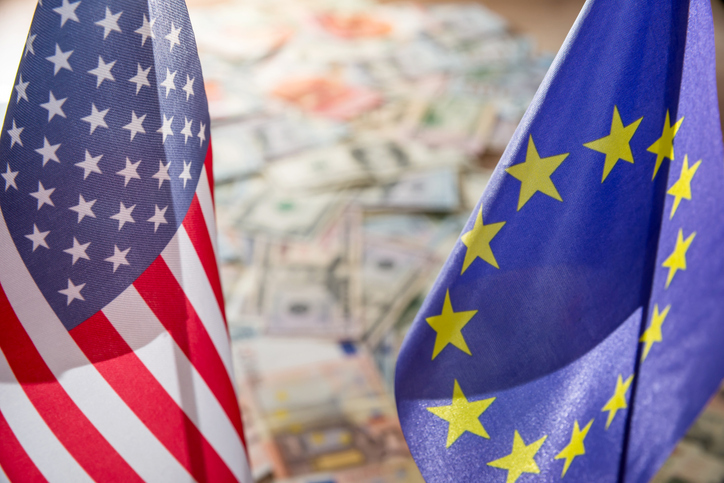 Maple Leaf Foods Inc. ("Maple Leaf" or the "Company") (TSX: MFI) and its wholly owned subsidiary, Greenleaf Foods, SPC, today announced plans to construct a US$310 million plant-based protein food processing facility in Shelbyville, Indiana. At approximately 230,000 square feet, it will be the largest facility and investment of its kind in North America. The Company will also invest approximately US$26 million to keep pace with ongoing growth in demand at its existing facilities. This strategic initiative will support Maple Leaf's continued growth and leadership in the rapidly expanding market for plant-based protein. The broiler chicken industry provides 1,393,739 jobs, $76.5 billion in wages, $347 billion in total economic activity and $27 billion in government revenue, according to an updated economic impact study that highlights the positive impact the poultry industry has on the nation’s economy. This data reflects almost 200,000 new jobs and an 11% increase in total economic output since the study was last updated in late 2016. Blount Fine Foods, a Fall River, Mass. establishment, is recalling an undetermined amount of ready-to-eat chicken soup products due to misbranding and an undeclared allergen, the U.S. Department of Agriculture’s Food Safety and Inspection Service (FSIS) announced today. The product contains milk, a known allergen, which is not declared on the product label. On March 22nd, President Trump appointed Stephen Moore to one of the two open seats on the Board of Governors of the Federal Reserve. Moore is a longstanding member of the economic community and has served on the editorial board of The Wall Street Journal, as well as contributing on economic policy to Fox News and CNN. Moore is also a Distinguished Visiting Fellow of the Heritage Foundation. When the 2019 Men’s Final Four in Minneapolis tips off this weekend, there will be plenty for fans to cheer about both on and off the court. 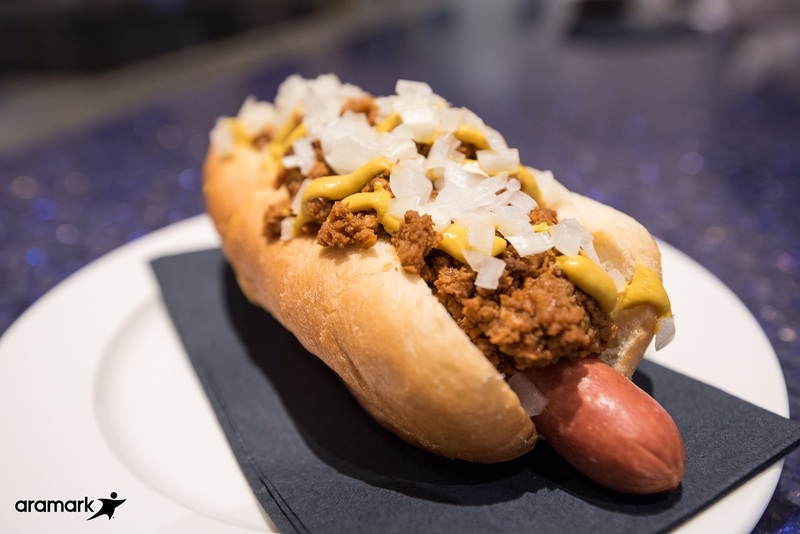 Aramark (NYSE: ARMK), the food and beverage provider for U.S. Bank Stadium, has created four signature items that pay tribute to the teams vying for the national championship. Urner Barry offers insight into their experience with Butler Street. Butler Street offers executive level sales training that can benefit any company. If you're trying to optimize your sales team streamline operations, listen in! Recreational marijuana is legal in 10 states, with as many as 12 more expected to approve in the next 18 months. Pressure from changing social norms, product marketers and the mind-boggling tax revenue potential is likely to prompt the federal government to change marijuana’s classification by 2023 at the latest, opening the door for a cannabis boom. Blue Apron Holdings, Inc. (NYSE: APRN) today announced that its Board of Directors has appointed Linda Findley Kozlowski as President, Chief Executive Officer, and a member of the Board of Directors, effective as of April 8, 2019. Kozlowski brings a proven record of success at innovative, consumer-focused companies, having most recently served as Chief Operating Officer of Etsy, Inc. and prior to that as COO of Evernote Corporation. 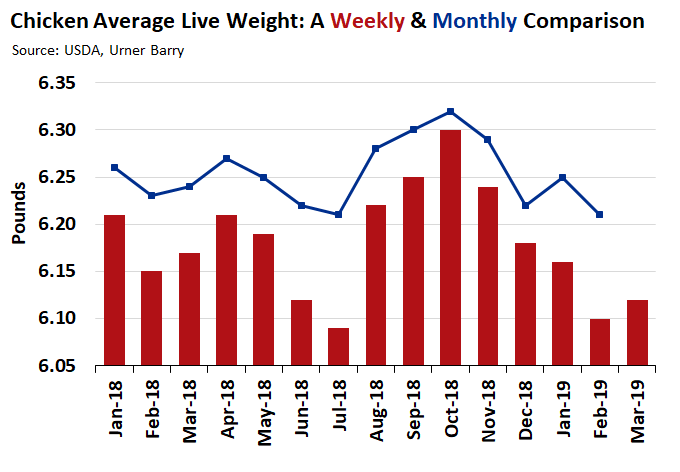 Brad Dickerson, who joined Blue Apron as Chief Financial Officer in February 2016 and was appointed as President, CEO and a member of the Board of Directors in November 2017, has decided to resign in order to pursue new opportunities. Following Kozlowski’s appointment, he will serve as an advisor to the company for a period of time to assist with the transition. ALDI is pleased to announce a series of commitments it has made to help combat the global plastics crisis. By 2025, 100 percent of ALDI packaging, including plastic packaging, will be reusable, recyclable or compostable. ALDI will also reduce packaging material across its entire range by at least 15 percent. Subway and Tastemade have announced an expansion of their first-of-its-kind global food innovation alliance. 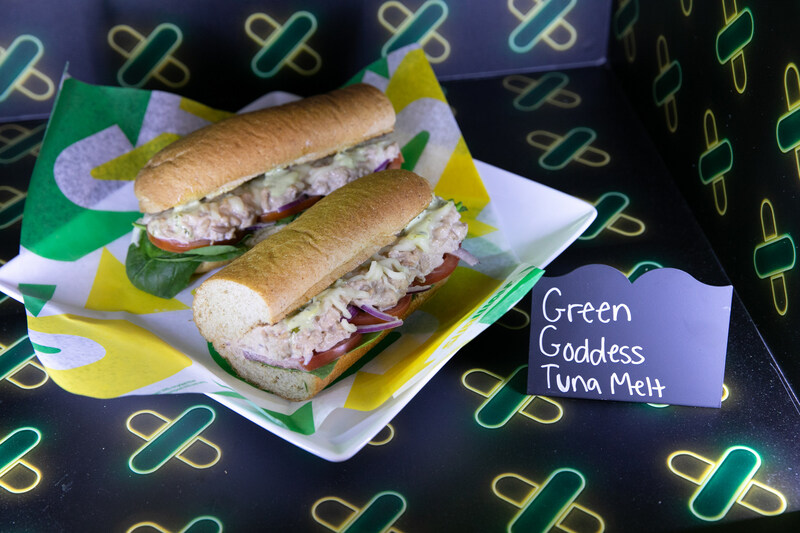 The world's largest restaurant chain and the modern media brand, made up of creators and food explorers united by their love and passion for great tasting food, are collaborating to create menu items designed to complement Subway's current offerings while inspiring new tastes that guests can't find anywhere else. 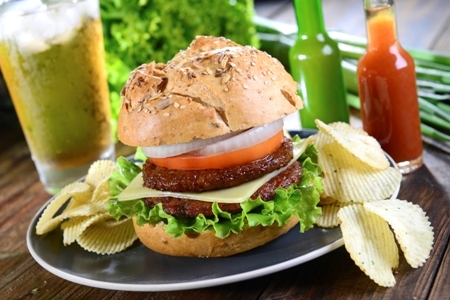 According to a new study by Research and Markets, the U.S. plant-based meat market is expected to reach a value of around $3 billion by 2024, growing at a compound annual growth rate (CAGR) of over 24% during 2018 to 2024. While its brick-and-mortar supermarket strategy is likely to add to the pressure, Amazon is hardly set to steamroll top grocers with its purported plans to open stores under a new, more mainstream brand, advised Joe McKeska, Senior Managing Director at A&G Realty Partners. Starting today, Denny's has added a delicious, high-quality line-up of new, culinary-forward dishes to its menu that is sure to delight hungry guests. 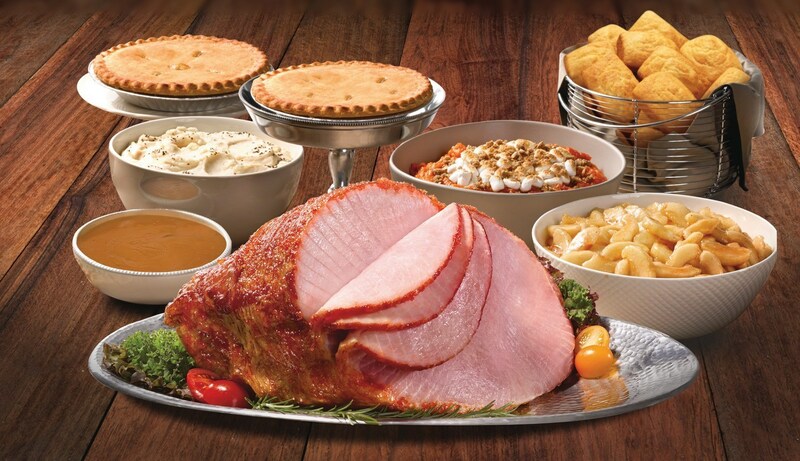 In addition to the menu offerings, Denny's is introducing a new hearty member of the value-friendly Slam family: the Meat Lovers Slam. 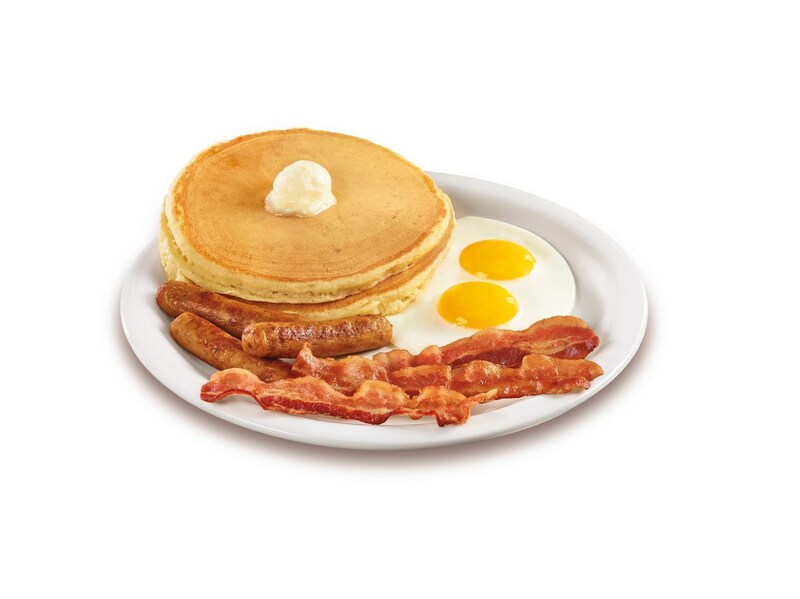 In the spirit of continuing to offer guests more for less, this substantial meal features two fresh eggs, two buttermilk pancakes, three strips of bacon and three sausage links, all for the unbeatable price of $5.99*. Bojangles’, Inc. today announced that brand strategist and marketing veteran Jackie Woodward has joined the company as its new Chief Marketing Officer, reporting directly to Jose Armario, Chief Executive Officer. Woodward will work alongside the brand’s respected long-time marketing chief Randy Poindexter over the next several months to ensure a seamless transition. The company recently announced Poindexter’s retirement after 28 years as the iconic brand’s top marketing executive. Customers love our Grocery Pickup and Delivery options. These services make life easier and help customers get back to the things they like doing the most. What if we could make it even easier? We continue to innovate for the future and look to technology to make great services even better in the future. 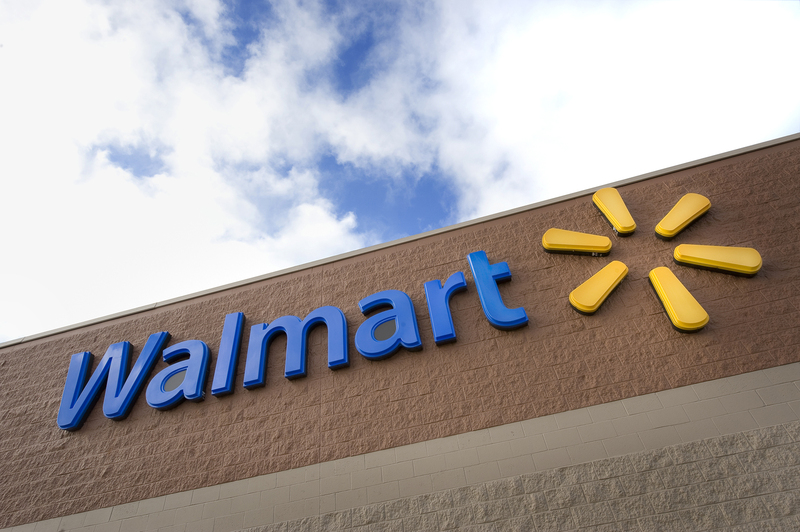 Introducing: Walmart Voice Order. 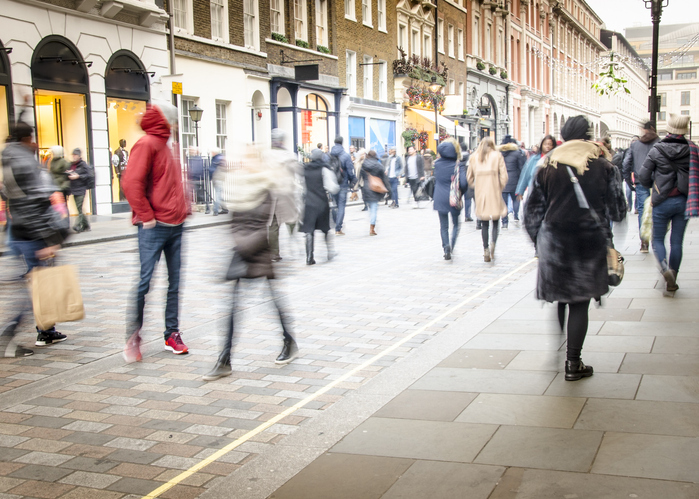 Retail sales were down 0.7 percent in February seasonally adjusted from January but up 2.7 percent unadjusted year-over-year as delays and revisions related to the government shutdown continued to make comparisons difficult, the National Retail Federation said today. The numbers exclude automobile dealers, gasoline stations and restaurants. 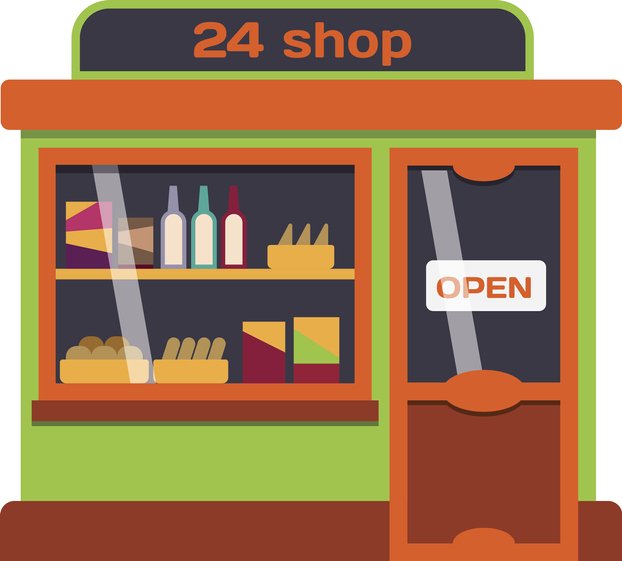 Consumers who shop at convenience stores want fresher, healthier food options, according to new research from facilities management leader Vixxo. 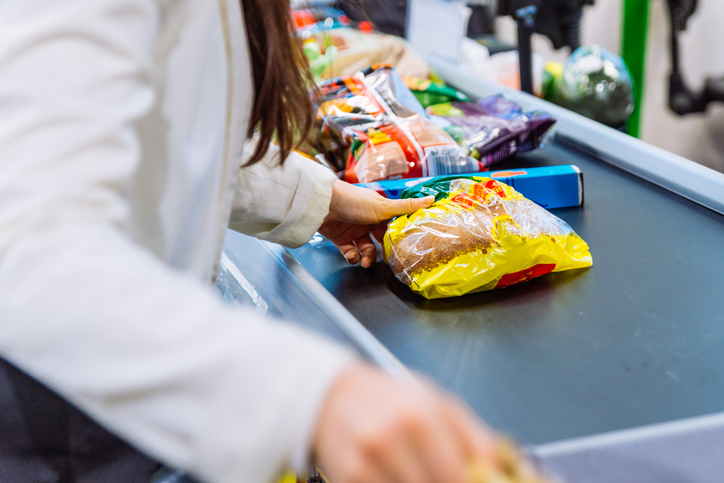 In the nationwide survey of more than 1,000 consumers, 1 in 3 Americans would frequent a convenience store more if it offered healthy snack items. Today, U.S. Senators Debbie Stabenow (D-Mich.) and Lisa Murkowski (R-Alaska) led a bipartisan letter that raised concerns about the U.S. Department of Agriculture’s proposed rule to make harmful changes to the Supplemental Nutrition Assistance Program (SNAP) and urged Agriculture Secretary Sonny Perdue to withdraw the proposal. Market of Choice, Inc., an Eugene, Ore. establishment, is recalling approximately 1,094 pounds of pork and poultry pâté products due to misbranding and undeclared allergens, the U.S. Department of Agriculture’s Food Safety and Inspection Service (FSIS) announced today. The products contain milk and soy, known allergens, which are not declared on the product label. FAT (Fresh. Authentic. Tasty.) Brands Inc. (NASDAQ: FAT) (“FAT Brands” or the “Company”), parent company of Fatburger, The Last Great Hamburger Stand™, announces the development of six new co-branded Fatburger and Buffalo's Express restaurants throughout Shanghai with Bloomfield Pty. Ltd. The new locations will build on FAT Brands' existing presence in China, where the company currently operates multiple successful locations in both Beijing and Shanghai. 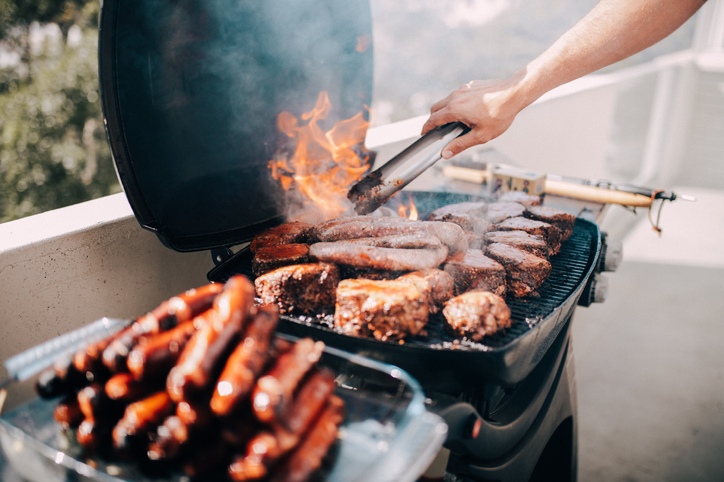 While much of the Midwest remains somewhat stuck in winter (our condolences), temperatures elsewhere in the U.S. are starting to feel more like spring—and that means grilling season is almost here. Both coasts, parts of the Northeast, and much of the Southeast looks to be thawing out with average temperatures this weekend expected to be 60 degrees and above. 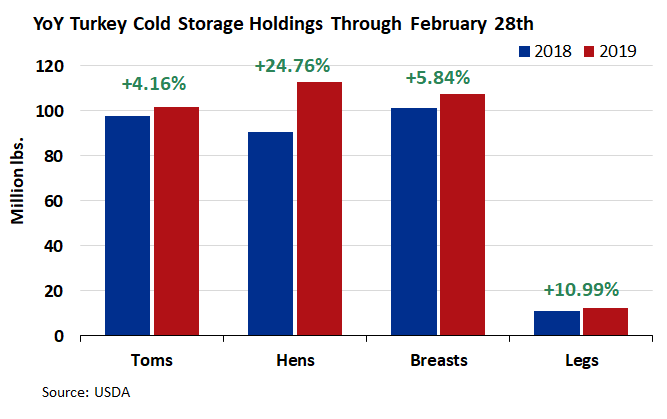 Hints of spring result in many consumers dusting off the grill and heading to grocery stores to procure their favorite proteins—and grocers are more than happy to answer the call. 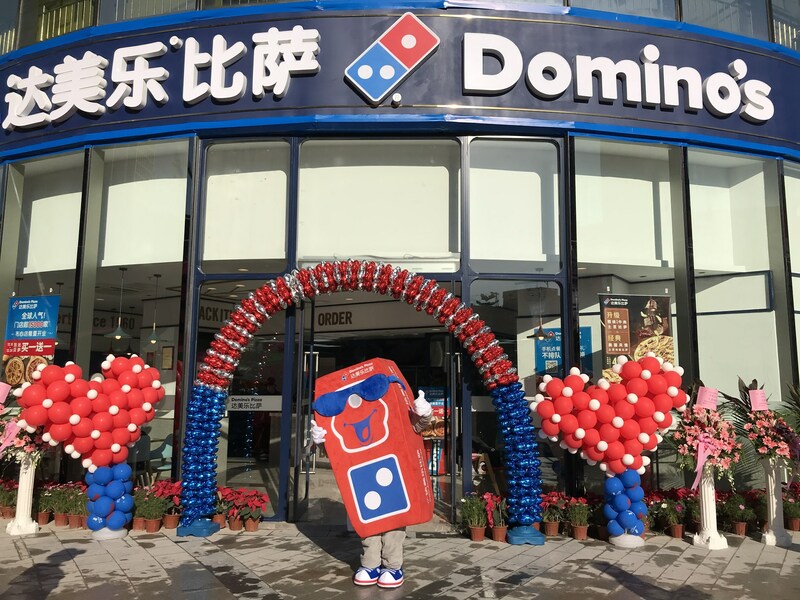 Domino's Pizza, (NYSE: DPZ), the largest pizza company in the world based on global retail sales, is celebrating the opening of the brand's 10,000th international store today. The store is located in the IBC Mall at 3008 Buxin Road in the Luohu District of Shenzhen, China. Adjusted operating earnings were $604 million, up 8 percent from the $559 million earned last year. This brought earnings for the first nine months to $2.34 billion, a 2 percent decrease from the prior year. Net earnings on a U.S. GAAP basis for the quarter were $566 million, a 14 percent increase from $495 million in the year-ago period. For the nine-month period, net earnings declined 3 percent to $2.33 billion. Papa John’s International, Inc. (NASDAQ: PZZA), one of the world’s largest pizza delivery companies, today announced the appointment of Karlin Linhardt as its Global Chief Marketing Officer. 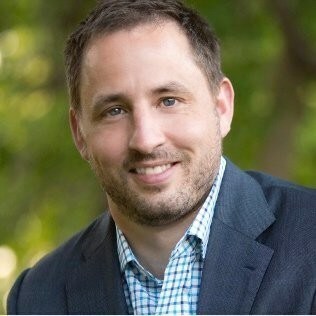 Mr. Linhardt is a veteran marketing leader with deep Quick Service Restaurant (QSR) category experience and C-suite executive roles at global Fortune-500 restaurant companies, consumer brands and top professional services firms, including Anheuser-Busch, McDonald’s, Accenture and Subway. 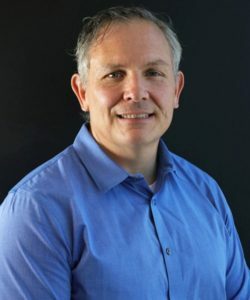 Dickey’s Barbecue Pit, the largest barbecue franchise in the world, announces the promotion of Jay Rooney to Chief Financial Officer of Dickey’s Barbecue Pit and its affiliate brands. For the past two years, Jay has served as Vice President of Finance and Accounting until making the move to CFO.